In a tearful encounter, Ottawa Police Sgt. 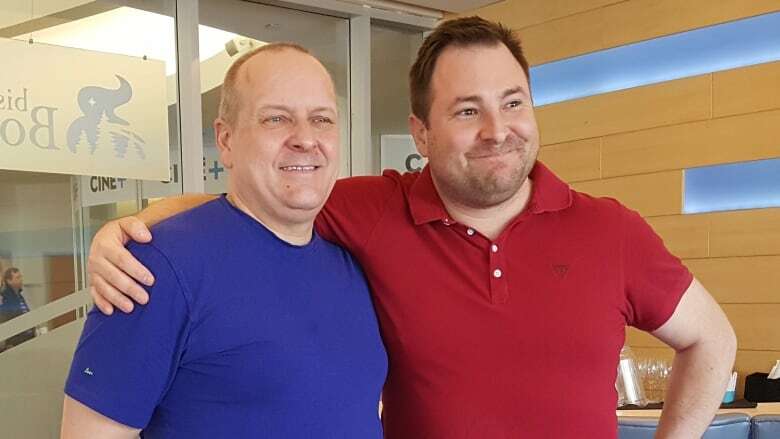 Chris Hrnchiar met with the man who called him out for making racist comments in the wake of artist Annie Pootoogook's death. Chris Hrnchiar buries his face into Veldon Coburn's shoulder at a restaurant in the Museum of Canadian History. "Pleasure to meet you," says Hrnchiar. "I'm glad to meet you too. You okay?" asks Coburn. "Well, I got a little emotional this morning. But it was long overdue." It's been more than six months since the death of acclaimed artist Annie Pootoogook. Her body was found on the banks of the Rideau River in Ottawa in late September. The men's lives intersected then, when Hrnchiar posted racist comments in response to an online article surrounding the circumstances of Pootoogook's death. Coburn, who had adopted Annie's biological daughter Napachie in 2014, responded by sending letters to the mayor of Ottawa and the chief of police, as well as calling the man out publicly when he discovered Hrnchiar was a sergeant with Ottawa police. The news touched off a media storm, with accusations of deeply held racist views on the police force. It also led to professional discipline proceedings against Hrnchiar. A lot has happened in the intervening months. Hrnchiar pleaded guilty to discreditable conduct, was demoted for three months, had his salary docked, and was ordered to go through sensitivity training by a police disciplinary hearing. Out of the public spotlight, Hrnchiar has approached members of Ottawa's Inuit and Aboriginal communities. And, he says, it hasn't always been easy. When he visited the Ottawa Inuit Children's Centre, some people told him how angry they were with him. One parent pulled her child out of class the day he was visiting. Other parents — like Reepa Evic-Carleton — were more forgiving. "I saw that Chris … really wanted to make it right," she said. "I saw that, and I could tell that he was genuinely remorseful about what he had said about Annie Pootoogook. And that made it very easy for me to have this meeting and conversation around the whole thing. "So yes, I did forgive him. There's a lot of talk going on about reconciliation. To take it even to an higher level of reconciliation, forgiveness has to happen." 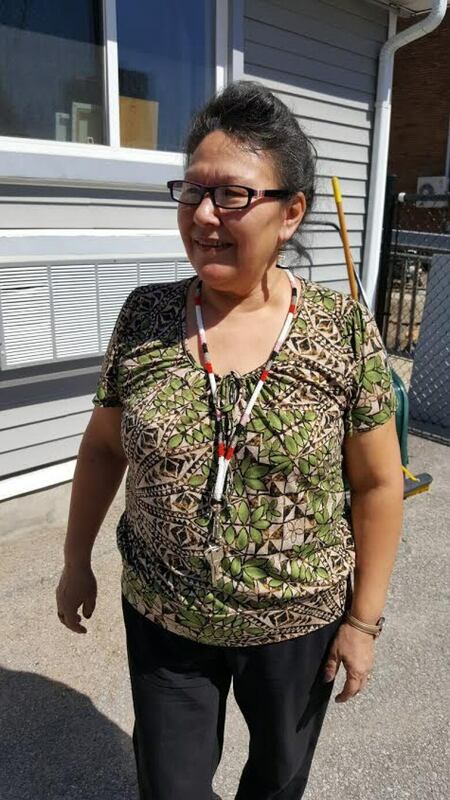 By all accounts, Annie Pootoogook had been fighting her own demons in the years leading up to her death. 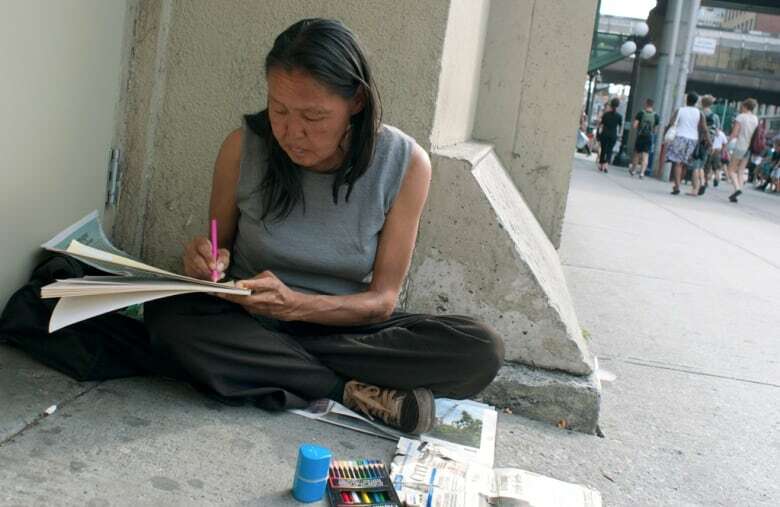 The acclaimed Inuit artist, born into a family of artists from Cape Dorset, Nunavut, had been living at a nearby shelter and struggling with addiction. Her ink, charcoal and crayon drawings portrayed everything from mundane scenes of life in the north to raw, arresting images about domestic abuse and other difficult subjects. Pootoogook's death shook her family, the art world, and Inuit communities across Canada. But it also profoundly changed Coburn and Hrnchiar. The story was personal for Veldon Coburn for many reasons. He's a member of the Algonquins of Pikwàkanagàn and father to four Indigenous children. One of those children, Napachie, is Pootoogook's biological daughter. Homeless and dealing with addictions, Pootoogook wasn't in a position to care for a baby, says Coburn. Coburn says he chose this venue in the Museum of Canadian History, in part, because this museum is home to the imposing Spirit of the Haida Gwaii sculpture by Haida artist Bill Reid. The six-metre-long, plaster-cast canoe is crammed with mythical creatures paddling. Coburn likes the symbolism of it: diverse characters working together to move forward. This is also the place where the inquiry into missing and murdered Indigenous women was announced. Hrnchiar has been working with Dave Zackrias, head of the Ottawa police's diversity and race relations unit, to go beyond the basic sensitivity training that was mandated. He also met with members of Ottawa's Inuit community and sent letters of apology, including a letter to Coburn. "I'm blessed to be able to see you to apologize to your face, because I know how much it's hurt your community and the people you love," said Hrnchiar. "And I'm blessed to be able to get this opportunity to say I'm sorry to your face. I realize that I didn't know as much as I should have known. And I wasn't as sensitive to things as I should've." The tenderness between the two men is surprising, given the events that put their lives on a collision course. "In a perfect world, I think every police officer should have that (sensitivity training), really," Hrnchiar said. "I mean it was really shocking to realize the history … I had no idea." Coburn also thrust himself in the public eye when he called attention to Hrnchiar's remarks. At their meeting, Coburn told Hrnchiar he soon realized the 30-year veteran of the police force was a likable man with good intentions. "After your apology in court, I was broken-hearted once again, because I thought, 'Geez, this is somebody who actually cares, this is somebody who has a conscience, who may have stepped out of line,'" said Coburn. Hrnchiar says he's worked hard to educate himself and earn forgiveness. "I'm engaged in my community, I love my community, it means something to me. And all that stuff doesn't get eliminated, you hope, because of one mistake. And you hope people see a positive in correcting that. So just go forward and hold your head up and make the best of a new day."